With so many hen night decorations where do you start? First thing to think about it the hen party banners. This banner is a classy black and silver colour. The holographic foil quality offers a sparkling glitzy feel and a strong durable material. So it will sparkle and decorate your chosen area and last all night long looking perfect even if there is lots of fun and chaos all around. 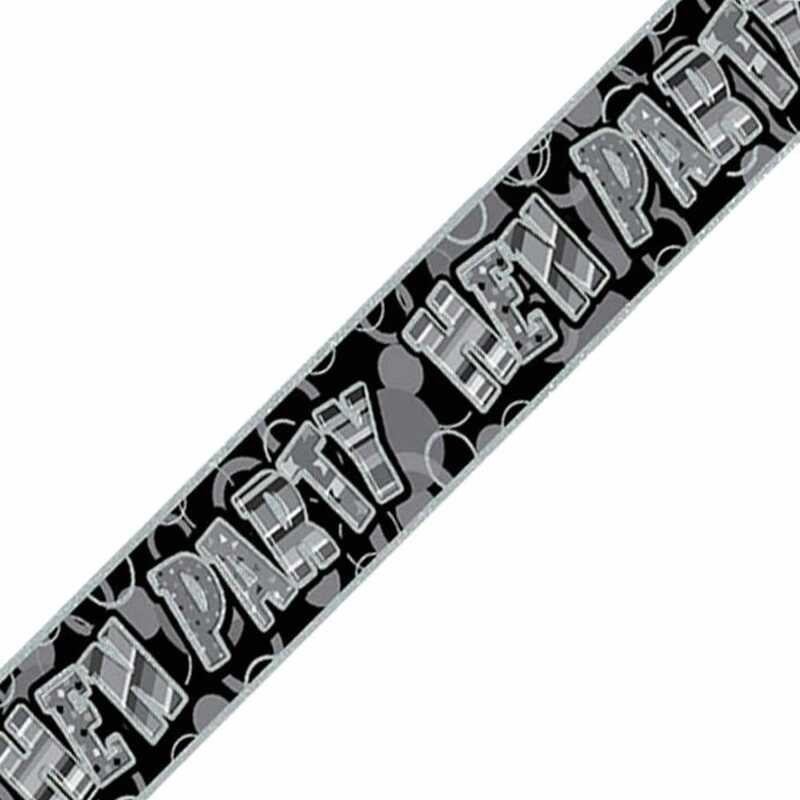 With 12ft in length the banner can be easily used as one long hen party decoration or cut into three equal parts of approx 4ft long. This is a unmissable universal item that adds glamour and bling to your hen party. Use this hen party banner anywhere you may be, in your home, at the club, on the car, the doors or even the guests!